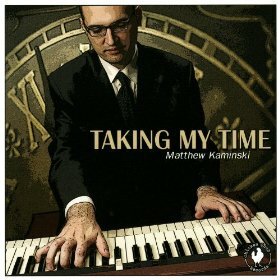 Matthew Kaminski is a jazz organist with an interesting day job — he plays the organ for the Atlanta Braves. Kaminski’s debut album is Taking My Time (Chicken Coup Records, 2010). In this interview, recorded in the press box at Turner Field, Kaminski talks about the fun and fascinating world of playing organ for the Braves; the family of jazz organists; how he got his start playing organ and who turned him on to jazz. Learn more at matthewkaminski.com and follow him on Twitter at @bravesorganist.